If you are one of those who want to know the difference between a “rucksack” and a “backpack,” here’s your answer. If you take a look at Wikipedia, the two terms are basically the same. But if you dig deeper, the term “rucksack” is more commonly used in the UK and “backpack” is used more in the US. Some people, though, don’t like to settle with this. To them, “rucksack” is more of a traveler’s buddy, while a backpack can be something you can take with you on a casual day. There are some features that rucksacks have that you can’t find in an ordinary backpack. For instance, rucksacks have more compartments to easily store things you need when traveling such as a water bottle and a canteen. Aside from that, to some people, the mere mention of the word “rucksack” gives them images of soldiers in their haversack. Here are six different types of rucksack backpack men. Modern designers love experimenting with colors, designs, and materials. If you love don’t like vintage style rucksacks, you will definitely appreciate these modern-style rucksacks. Look at how fun and playful they are. Also, they may come in floral prints and patterns, but they still carry with them the distinct look of a rucksack. Based on what the name tries to imply, a leather rucksack is made entirely or predominantly of leather. These are usually preferred by fashionistas who love nice things. But they can also be functional. You can use them as a great school bag where you can store your books and things in. Or you can travel with them in one of your backpacking trips somewhere in the country or abroad. These leather bags are clean and sophisticated. The European rucksack is made from “heavy-weight” cotton or canvas. At once glass, you’ll notice that it has this distinct look that sets it apart from the rest of the rucksacks. Some of the features of European rucksacks include the following: 2 side pockets with zippers, a large main compartment to store your essentials, a zippered pocket on top of the main compartment, adjustable straps, and another pocket in front. 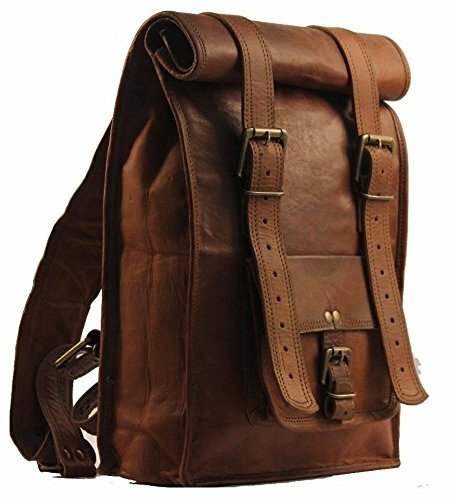 As you can see, vintage style rucksack backpacks carry with them this distinct style that reminds you of yesteryears. The color, for instance, is khaki, and the materials are from a cloth sack. But because this is the modern era, these vintage style rucksacks are given a modern twist. Take a look at these bags and spot the difference. At first glance, you can see that there is an obvious difference between the German style alpine rucksack from the rest of the styles available. The straps are visibly longer, and the body is a little bit slimmer or smaller than the other styles. 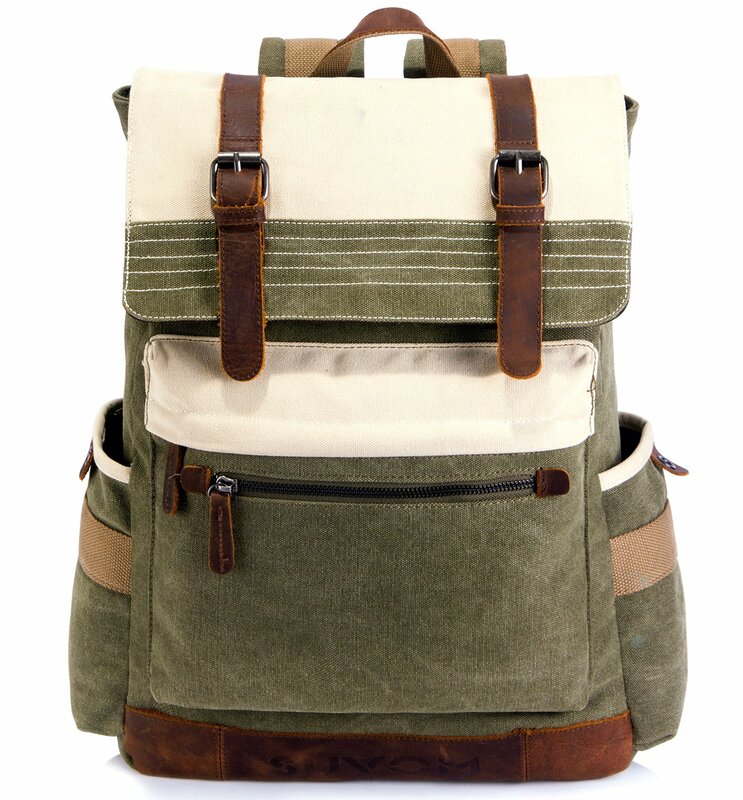 But of course, this style stays true to the military green color that the rucksack backpack is known for. This style is designed for heavy-duty use. It has a lot of large components and pockets meant to contain water bottles and other important valuables necessary for combat and other strenuous activities. The straps are also strong and durable, and they can withstand a high amount of pressure. The bag is also water-resistant. Which among these rucksack backpack men is your favorite?